I’ve volunteered at three East Oakland organizations: Hieroglyphics Imperium, The Alameda County Food Bank and at The Unity Council. I had learned about a music festival online, Hiero Day 2017, where the prices were too expensive for me to attend. I, therefore, looked up the organizer’s contact information online; it turned out to be Hieroglyphics Imperium. They emailed me their volunteer packet and informed me of a mandatory orientation. The packet contained information about who to contact, what the event was about, and their expectations from volunteers. 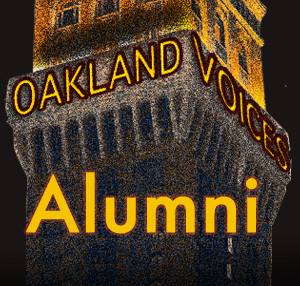 It was to be a celebration of hip hop music, community and Oakland. The expectations were general: show up on time dressed properly, no cell phones, have fun! I missed the two-hour orientation due to logistical problems but had been on the phone with them trying to find my way to 50th Street, 50th Ave, potato, pototo! They provided on-the-job training and the day went fine — music, people, vendors, food, drink! I became acquainted with the Alameda County Food Bank by circumstance. Due to some traffic tickets that I was interested in working off, I was assigned to them. I called to schedule myself for the next orientation, per the court’s instruction sheet. The orientation was to be approximately an hour. Alameda County Food Bank turned out to be huge and impressive. I walked the quarter mile down their parking lot to their warehouse. All of the volunteers signed in using their kiosk, made a name badge, and waited in the lobby until we were all escorted to a room. The orientation was quick, informative and organized, and included a tour. Different shifts and positions were available that we chose, filling out on 5×7 printed cards. We handed them in and left. Those that chose weekends started immediately; weekdays, the following Monday. You don’t have to be introduced to the Alameda County Food Bank like me, and there are other positions available, especially for those who are multilingual and have technical skills. They need assistance with their emergency food helpline and other projects, such as assisting people with signing up for CalFresh benefits. 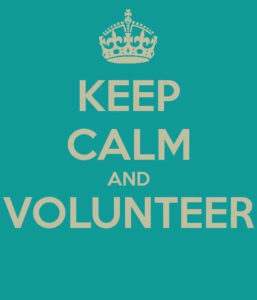 According to their website, “All individual volunteers, except evening and weekend volunteers, must first attend a volunteer orientation. No registration is required – just show up!” The orientation is held every Wednesday from 12:45 – 2:00 p.m. at their Community Engagement Center located at 7900 Edgewater Drive, Oakland, CA 94621. Their contact information if you have any questions or ‘ideas’ about how you may be able to lend a helping hand: volunteer@accfb.org or (510) 635-3663, x308. The Unity Council is another organization that was organized, with enthusiastic people, and in modern accommodations. A need to stay busy and abreast of my administrative skills during my job search, I found The Unity Council on the VolunteerMatch website. I visited their website and learned about their needs for office work, help at community events such as Dia de los Muertos, outdoor work such as gardening and special skills such as massage therapy for their senior center or tax preparation for their VITA section. The first opportunity available was for their events and I was excited when I received an follow-up email. There was an approximately two-hour orientation where refreshments were served, introductions were made, we viewed a video, and questions were answered. I liked their values of community, empowerment, equity, integrity, joy, passion and service, and root in culture. The day of Dia de los Muertos, they had a large break room with ample seating, and like at Hierglyphics, the event went smoothly. It was crowded, busy, and exciting. An eater and a love of free stuff, I must mention Hieroglyphics Imperium and The Unity Council provided free food and a t-shirt. 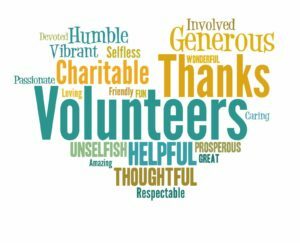 Other benefits one may obtain from volunteering are new friendships, company and camaraderie, new or updated skills, networking and a way in to a job opportunity, recognition, appreciation, and pride. 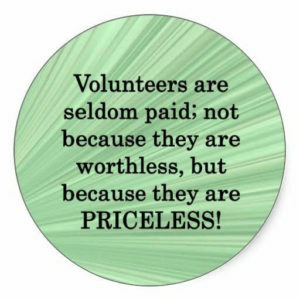 If you’re thinking about volunteering, some questions you may consider are: Are you bored and looking for something to do? Do you have free time and would like to fill it? Do you want to help others, while helping yourself? Would you like to lend a helping hand to a cause you believe in? 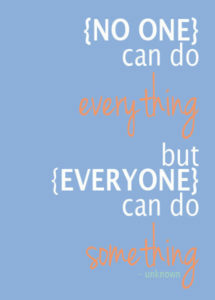 Some volunteer quotes: “Everybody can be great. Because anybody can serve. You don’t have to have a college degree to serve. You don’t have to make your subject and your verb agree to serve. You don’t have to know the second theory of thermodynamics in physics to serve. You only need a heart full of grace. A soul generated by love.” – Martin Luther King, Jr.